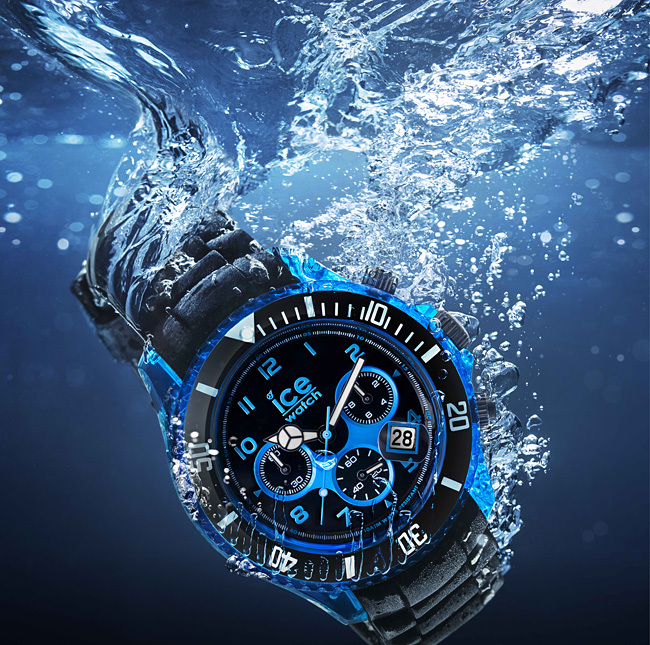 So you’ve come here wanting to learn about water resistant ratings in watches, we can provide you with all the relevant information you need below. Note the infographic is at the bottom of the page. A.T.M. (atmosphere), where 1 A.T.M. equals 10 metres. Bar, where 1 bar equals 10 metres. Now that you’re aware of the difference between A.T.M and Bar we should be good to continue on with this watch water resistance guide. How is water resistance measured? Now I wouldn’t blame you for assuming that a watch marked as ‘water resistant to 100m’ would be perfectly safe for you to swim to depths of 100m, however sadly that’s not how it works at all. This is all due to how they actually test a watch when it’s manufactured. Watches are standardly only tested once using a static pressure method on a new model. This doesn’t take into account rapid changes in water pressure or temperature in sea water for example. The ageing of a watch and temperature change can have a fairly substantial effect on watch seals so water resistant is only ever a rule of a thumb. Why Can’t I take A 50m Water Resistant Watch 50m Deep? Think of it this way, if you were to dive into a pool while wearing a watch that is 50 metre water resistant, the pressure on the watch upon impact would be far greater than what would be experienced at a 50 metre static water resistant test. This is why the number of metres shown on a watch face isn’t an indication of the depth the watch can be taken to, even the movement of your wrist whilst simply swimming would alter the pressure on the watch. Remember you should never wear your watches in the shower or in a hot bath etc. Watches are designed and measured for cold water only and hot water can have an adverse effect on seals. For information on deep sea diving watches water resistance marks you can have a read of this wiki article. It goes on to talk about International Organization for Standardization diving marks which is important for high-level diving watches.